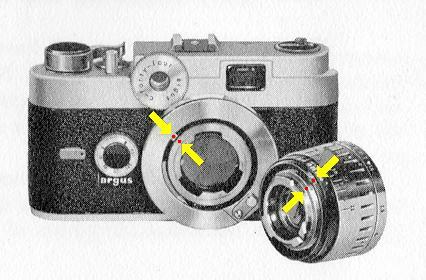 TO INSTALL ANY LENS, first align the red dots on the body lens mount and align the red dots on the rear of the lens. Place the lens on the mount so the notch on the rear of the lens fits over the square projection on the camera mount. When seated, rotate the lens clockwise to lock. 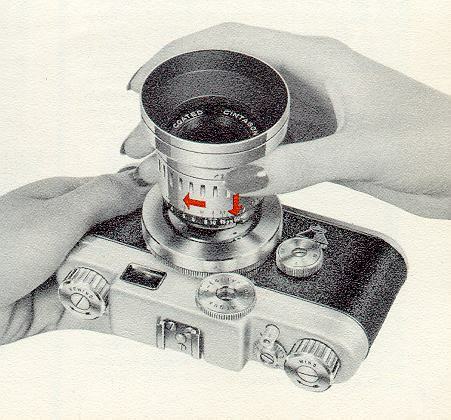 Check to see the lens is locked -- it should not turn. Never leave the camera without a lens installed. Avoid changing lenses in direct sunlight.